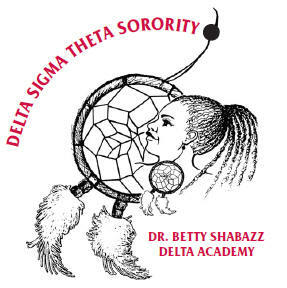 Welcome to the Contra Costa Alumnae Chapter of Delta Sigma Theta Sorority, Inc.
Our meetings begin promptly at 10 am and business attire is required. Meetings are limited to duly initiated members of Delta Sigma Theta Sorority, Incorporated, only. Visiting members are always welcome and will be required to show official proof of membership and picture identification. If you are unable to locate your official membership card, please contact the Headquarters Membership Services Department at (202) 986-2400 for assistance in membership verification. Please provide verification to dstccac@yahoo.com at least 4 days prior to a Chapter meeting. We look forward to welcoming you to Contra Costa Alumnae! We appreciate your interest in gaining membership in our illustrious sisterhood. However, Contra Costa Alumnae is not currently planning any membership intake activities. Should the chapter’s position change, ample notice will be provided of Rush activities according to the rules of Delta Sigma Theta Sorority, Inc. Please, check back for future updates regarding membership intake. The female resides in the community/area that is serviced by the Alumnae Chapter; and The female is not a member of, nor has been expelled from, any society holding membership in the National Pan-Hellenic Council, Inc. or the Panhellenic Conference, Inc.